Noise and other forms of distractions are a part of our surroundings. Our jobs are made more difficult, there are time’s we need to concentrate and get a good night sleep. We need to protect our ears from unwanted noises, and earplugs help us achieve it. Earplugs are a boon and have existed for a long time. They are tiny devices meant to be inserted into our ear canals to protect our ears from water, loud noises, dust, and maintaining ear pressure. Whether you are going out swimming or attending a music concert or suffering from ear pain in an airplane or even facing difficulty in getting a good night’s sleep, earplugs come in handy. As the name suggests custom ear plugs are custom molded ear plugs made from molds of the impressions of the wearer. No two individuals are the same, and similarly, the shape and size of the ear canals vary. The difference in shapes and sizes makes it a challenge to find the perfect fit for your ears. Last week I bought custom ear plugs from store bigearinc. Custom molded ear plugs are tailored to fit your ears. They are also tailored to fit your purpose and comfort, whether you want those for swimming or for sleeping. Made of acrylic or soft silicone to fit your ear canal perfectly, they can change shape according to the user’s movements while chewing or talking, barring the noises during those activities. They are used for various purposes like flying, shooting, swimming, etc. Also Checkout Hacking Medical Devices: How Does It Happen? 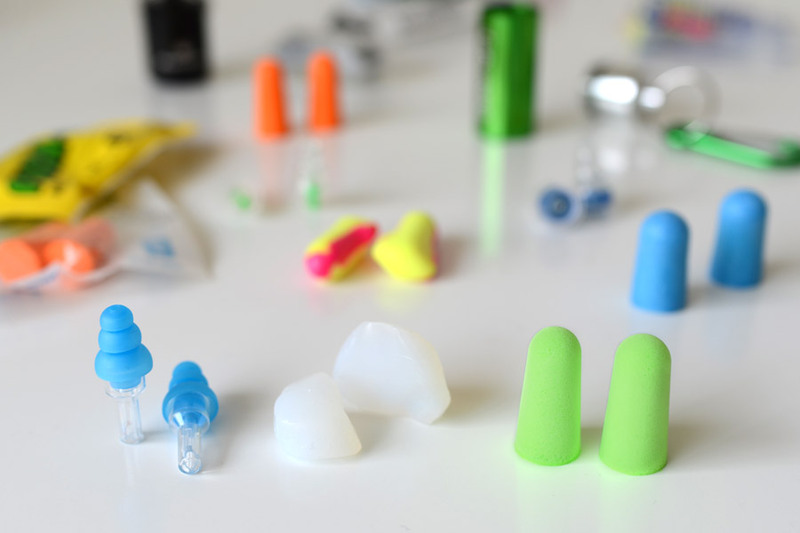 Pre-molded earplugs made from foam are designed to be used for a few times before they can be disposed of. This is a non-expensive alternative to customized earplugs. They are made from either polyvinyl chloride (PVC) or polyurethane (PU). These are compressed by rolling and put into the ear canal where they expand to plug in. They are for occasional use and can seal general noise pollution. It is suggested to invest in custom earplugs if you plan on wearing earplugs often. These are generally made of wax or silicone material. They allow reuse for a few times until they become dirty. Moldable earplugs are an alternative for people who cannot wear other types of earplugs. These are comfortable than foam earplugs as they easily conform to the unique ear shape. Moldable silicone earplugs can be used for blocking water out of ears but are not effective in blocking noise. Moldable wax earplugs are better for sleep as it softens with the body heat allowing a more comfortable sleep. These are made of soft silicone or plastic material which is durable and can be used several times. They can be cleaned before reusing, suitable for sleeping, noise reduction, shooting, etc. Finding the perfect re-usable earplug for yourself is quite a task. They come in multiple sizes, and you need to evaluate the perfect fit for yourself. Most of the re-usable earplugs have flanges attached to them. Flanges are flaps around the center of the plug allowing the earplug to seal your ear canal. However, it is not necessary for your earplugs to have flanges as it does not affect the quality. To block noise, your earplug needs to be worn properly, and it does not depend on flanges. Earmuffs are a alternative for blocking out the noise. Some people don’t like earplugs so they use earmuffs. It is also used as an extra protection to block noise by those who work with heavy machinery, aircraft engines, and lawn equipment. They are easy to use and fit and are comfortable compared to earplugs. They do not require to be specifically made as custom earplug would need to be. Electronic earplugs have microprocessors that compress loud noises like gun blasts and allow safe levels of sound to pass through to the ear. They are the most suitable for people who constantly work under loud noises and do not want to block all sounds around them. Some Musicians and gun shooters mostly use electronic earplugs as this allows them to hear safe levels of sounds around them. They identify unwanted background noises without blocking the sounds you want to hear. The best way to use Electronic Ear plugs is to have them made custom.